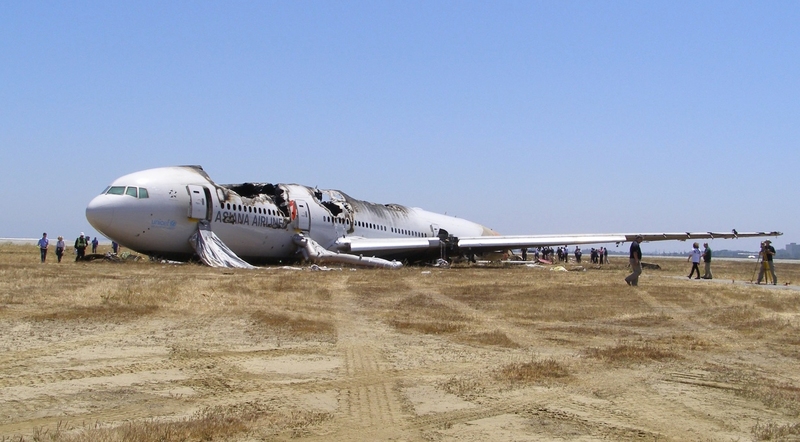 A South Korean government committee ordered Asiana Airlines to suspend its services to San Francisco for 45 days as punishment for the fatal July 2013 accident at SFO. On July 6, 2013, Asiana flight OZ214 crashed on landing at San Francisco Airport, California, resulting in the death of three passengers. The South Korean Ministry of Land, Infrastructure and Transport said in a statement that current law stipulates a 90-day flight suspension for airlines involved in a fatal accident like Asiana 214. The law allows for a lesser suspension of up 50%. In view of the crew’s efforts to minimize the number of casualties, the ministry committee decided on a 45-day suspension. The airline has 15 days to appeal the decision.